Graphic Design (Communication Design), B.F.A. 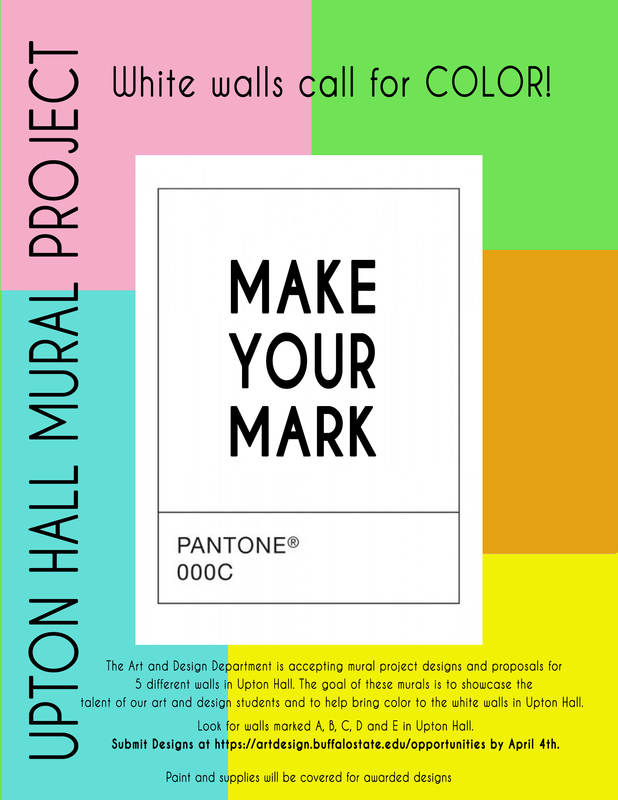 The Art & Design Department is accepting mural project designs and proposals for 5 different walls in Upton Hall. The goal of these murals is to showcase the talent of our art and design students and to help bring color to the white walls in Upton Hall. 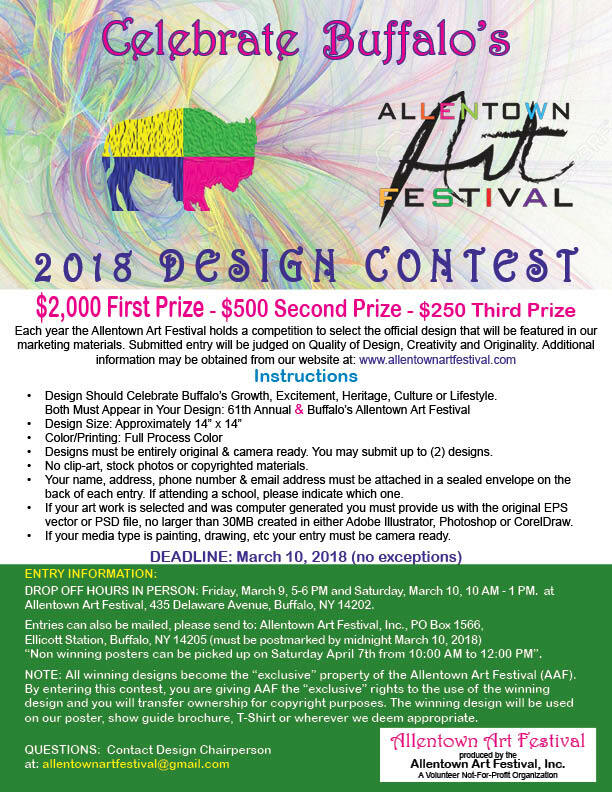 Artists or groups may submit up to 3 designs and are due by April 4th. Designs will be chosen and artists will be notified by April 11th. Paint and supplies will be covered up to $100 for each awarded design. All murals must be completed by May 17, 2019. 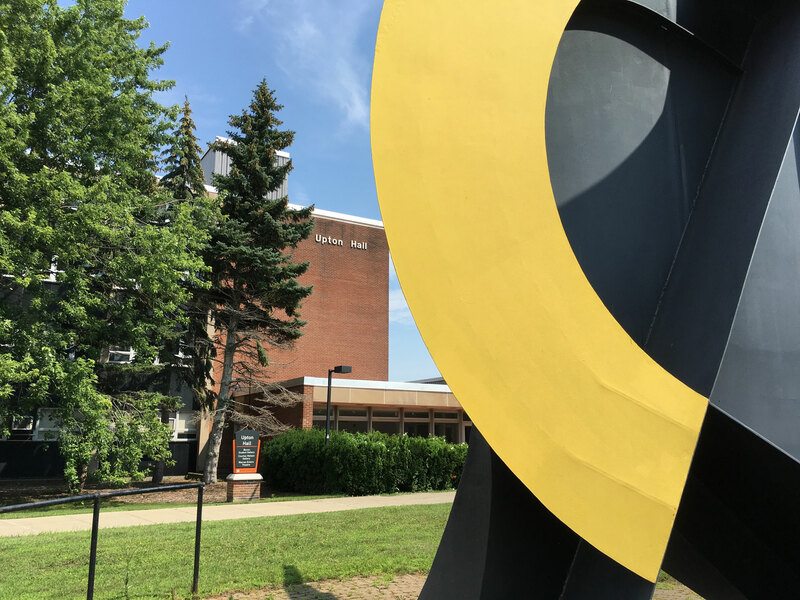 Because Buffalo State is located in New York State's second-largest city, students have access to all the city offers. Many choose to perform internships or use the city's many agencies and arts facilities for learning outside of the classroom. This a hit the boots running type of position so some prior experience in either the Interior Design, Architecture or Construction fields. Current students welcome to apply. This is a freelance position with the possibility of growing into full-time -- hours will currently vary from 15-20 based on the ebb and flow of project deadlines but may increase in the near future to 30+. We have an open studio policy and do not follow the typical 9-5 business hours - perfect for someone trying to fit in a second job or around a school schedule. This position is for a master multitasker who can work both independently and as part of a progressive team; high energy with an invested interest in Design. We will visit job sites, meet with clients, specify, draw, research, -- laugh learn and cry together. -Buffalo Plumbing Showroom is hiring for a full time position as a showroom consultant. "Our showroom manager is looking for applicants that have a design background and a desire to work in a customer service environment. If you know of any students, past or present, that would be interested in working in our showroom, we would welcome their resumes! Saturday hours would be a must. All qualified, motivated and friendly applicants may send their resumes to our showroom manager, Marcia Olson, at molson@erbco.com." Please let Prof. Bhakti Sharma know if you are interested. -King and King at Syracuse is hiring at entry level position. Please contact Stephanie Mohorter at smohorter@kingarch.com if interested.  Buffalo State's Undergraduate Research Office provides opportunities for our design students to apply for undergraduate summer research fellowships, research grants, and travel grants to present results of their research. Students participating in research projects also present at the annual Buffalo State Student Research and Creativity Celebration. Design students have the opportunity to study in Italy through Buffalo State's Siena Program. Numerous study-abroad and exchange programs are offered through Buffalo State, SUNY, National Student Exchange, and other institutions. Contact the International Education Office for more information. Students can become involved in various student organizations on campus. Students can join the student government sponsored Visual Arts Board; Students Involved in the Art of Metalsmithing (S.I.A.M.) club; the Coalition of Ceramic Designers (C2D) club; and the DotCom club. An active Art Education Student Chapter affiliated with the New York State Art Teachers Association (NYSATA) and the National Art Education Association (NAEA) initiates numerous professional development activities for students to polish leadership skills, to meet and work with seasoned teachers, to develop a sense of esprit de corps with their peers, and to acquire a professional disposition. Other opportunities include student field trips, on and off campus exhibitions, and an annual student sale.